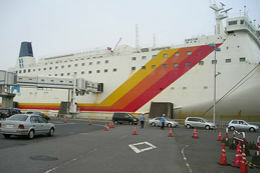 This is where the ferry up to Hokkaido is located. These ships are very comfortable. 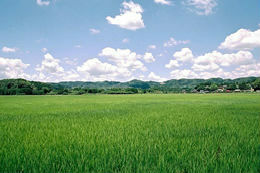 This area near Tokyo has a mild climate all year and is one of Japan’s most fertile regions. 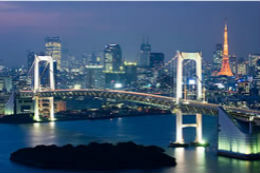 The Rainbow Bridge is one of the most iconic structures in all of Tokyo. 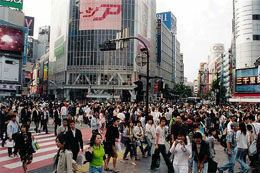 The Shibuya shopping district is one of the most popular districts on the planet. Japan’s largest outdoor bath. Men and women mixed bathing at its best. These mountains divide Gunma and Niigata. 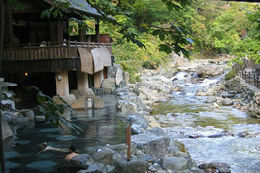 Many hot springs are in the region. 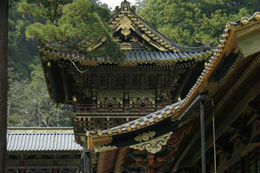 Nikko has been the center of Shinto and Buddhist mountain worship for centuries. Kanto, home to such cities as Tokyo, Yokohama, Saitama and Kawasaki, is one of the most densely populated regions on earth. The energy and excitement of this metropolis is contagious and it is here that you will likely be starting your Japan adventure. Many great rides can be found in and around Kanto; Mt. Fuji and the surrounding lakes are of course a must-see. 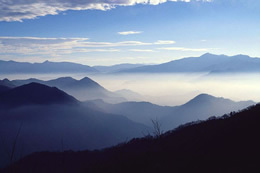 Other recommendations include Chichibu National Park, and the World Heritage listed Nikko.